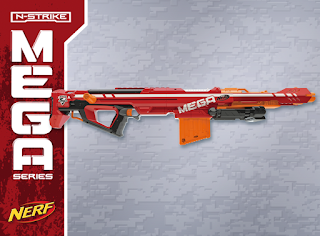 As you may have seen trending under #nerfmega last night, The Summer Bash welcoming the NERF MEGA Centurion and the other coming star blasters happened! It was a pleasure to meet up with some of our counterparts from all over the US. To tide you over, here is the consolidated pic spam from last night. More to come on the tidbits we learned about and some thoughts on the Rapidstrike, Rebelle line, Centurion et cetera! You'll see many people from the NERF blogging community. It was great to meet the Basic Nerf and Shining Foam guys in person too. Look for much camera work on the Click Click BAMF Youtube channel from Shining Foam and Chris' cam work on Shining Foam. We were able to team up for some fun stuff! See Vas the Stampede from F2A (Foam From Above)?! He's one chill dude! 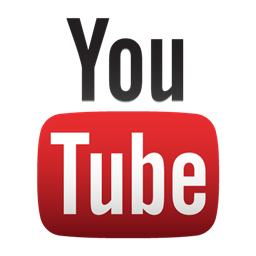 Look for cameos in the above video from Adult Fans of Nerf and Basic Nerf. 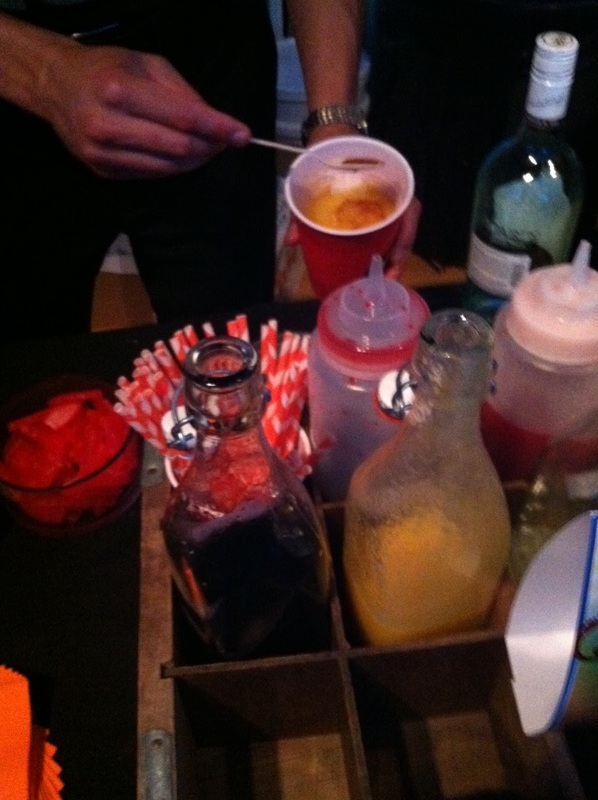 This party was quite the Summer Bash! All the different colors of head bands etc. are from an on-going contest during the night. Team Orange didn't win. They rejected my demand for a recount. 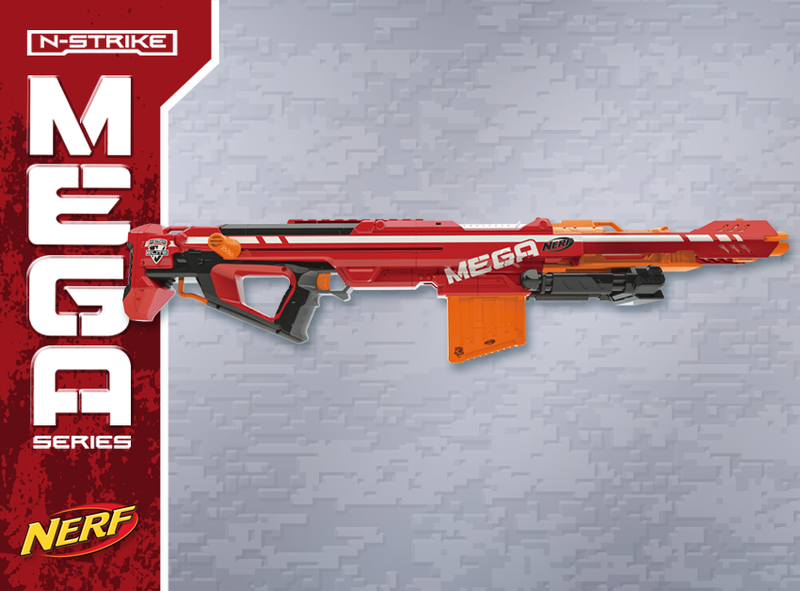 I was pretty dang impressed by the style of this NERF Mega Summer Bash. 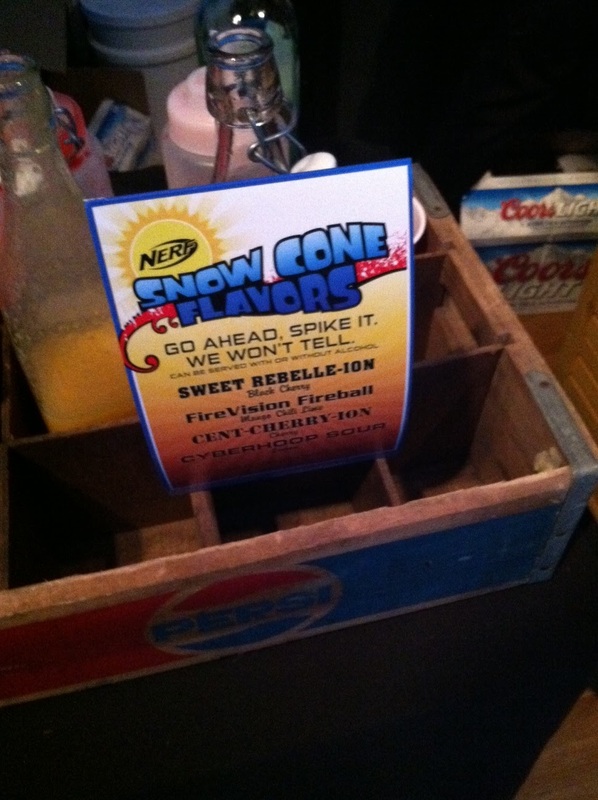 They even had snow cones named after blasters. Going to have to try to recreate the mango, chili and lime one! I've got a treat for you: The first actual comprehensive video of a MEGA Centurion un-boxing! Some of us in the blogging community are lucky enough to get a first look at these babies before they hit shelves. 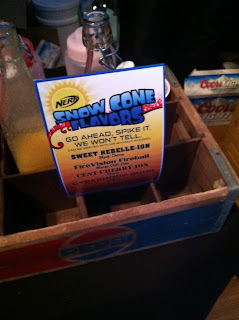 Speaking of which, check out Foam From Above's pic spam on the blaster. Glad to try this thing out on video! Check out the noise from it!! We even changed the opening logo sound effect this time in honor of it. 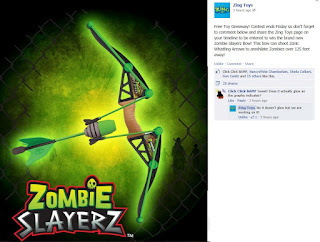 Finally had a chance to un-box the free Zombie Slayerz bow from Zing! Toys. Of course, it's pretty much the Z-curve bow with a paint job, but that doesn't make me like it any less. With a half-strength pull, I can get more distance than most NERF guns! What would make me like it more is if they really do make it a glow-in-the-dark version like we talked about in the graphic to the left. We finally got the review up on the Buzz Bee Range Master. 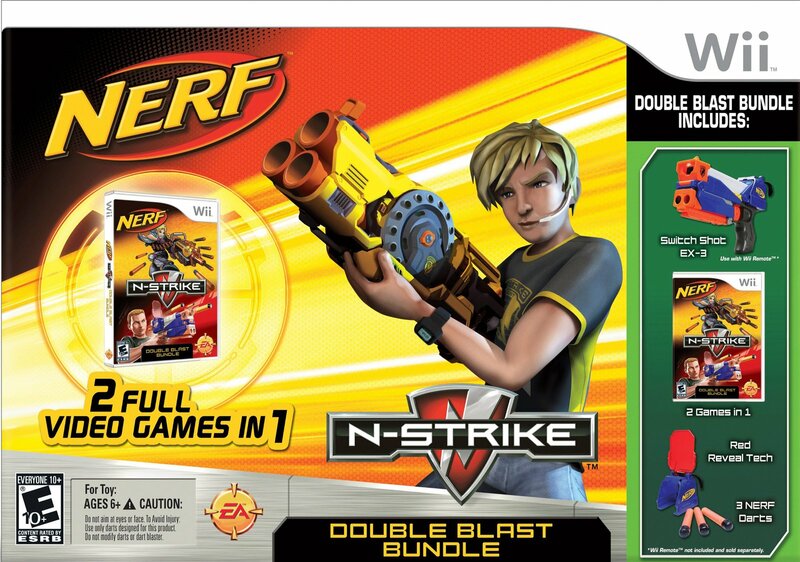 This came out at the time that NERF was first producing their Elite series of blasters. Check out the video for our breakdown of how this blaster performs in the categories of Speed, Range, Accuracy, Appearance and Value. Did you see what this thing hits with its new suction darts in the Range category? While this blaster gets the good ranges, I'm still not sure it's a "sniper" blaster. If the Centurion gets what it claims and performs well with the Mega darts, it think it will out-class the Range Master. Accuracy? Yeah, this thing owns. As mentioned in the video, the scope can be used too -I'd say to better effect than the old NERF scopes. Just ahead of our water fight on Saturday, I did some Vine videos when un-boxing the new Super Soaker blasters for this season. Figured I might as well spam them on the blog. NERF sent us the Switch Shot, Arctic Shock and Flash Blast Super Soakers to test out with our warriors. I actually picked up a Shot Wave as well, but that was at the store one the way, so no un-boxing on camera. 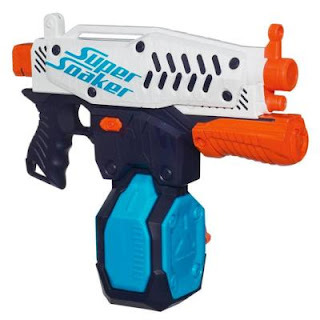 The Switch Shot actually steals its name from another blaster. have you ever played the N-Strike Elite game on Wii? That game has an accessory that is both a Wii controller and dart blaster called the Switch Shot EX-3. I was never completely sure why it had that name. The new Super Soaker Switch Shot makes a lot more sense. You can switch between a normal stream, Triple Shot, Atomizer or Scattershot. Our warriors felt that the Atomizer (mist setting) wasn't really helpful for anything. Personally my favorite settings where the scatter blast and the normal stream. It was nice to have the option to switch between them. Granted, it's a price of $30 for the option. But the interchangeable stock and the banana clip (20 ounces) help satisfy the cost. Oh, the Flash Blast. Check out our earlier blog for more info on this blaster. It certainly doesn't drench your opponents like their website description. But it is a good sneak attack weapon, as advertised. I imagine a couple of scenarios out of the Die Hard franchise of movies with this thing. Still, if you are looking for a reliable fall-back as a sidearm, this isn't it. Don't get sold on the idea that it can slam-fire either. It technically can slam fire, but that's not a feasible way to use the thing to be honest. It's a way to get yourself or your kid into the game for $9, buy I'd spend the extra buck and buy batteries for an Electrostorm. Mega Centurion - Going the Distance? Mega whistler darts that can go "up to" 100 feet when launched from the Centurion? You know that's likely going to mean 100 feet on an arc. Still, that also means it will go farther firing it straight than current stock blasters. After a years-long quest, will this be the first true sniper blaster? 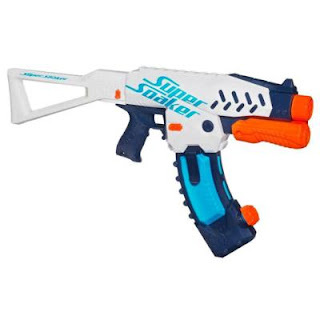 Yes, there are already those in the mod community that out-range this stock blaster. Several people have mentioned to My Last Dart and on the NERF facebook that they are happy with their BBLS and blow guns. I assume that BBLS means brass-breached long shot in this case. But I'd say this will be a game changer for the weekend warriors who don't have the time to spend on mods! A centurion [...] was a professional officer of the Roman army after the Marian reforms of 107 B.C. Most centurions commanded 80 men but senior centurions commanded cohorts, or took senior staff roles in their legion. Centurions were also found in the Roman navy. Centuries, or Centuriae, means tribe or company. Theoretically, this word traces its roots to centum which is Latin for one hundred, but that connection is widely disputed or disregarded. I'm not sure the name communicates the range/snipe abilities of this blaster, but MAYBE they are using that one-hundred foot range for the inspiration? You've got to be looking forward to finding out how this performs. Have you seen the review for the Power 48 blaster from Air Zone? You can hear the NERF whistlers in the Range test as they hit an average of 97 feet. I imagine the mega whistlers will sound even better. Whistlers aren't an addition to shootouts like Popular Science says, but satisfying indeed! We hope your weekend was great and full of foam and water fights! As you may have read, we had our Click Click SOAK water war in Colorado Springs on Saturday. Loads of fun all around and lots of soakage. This gave us a chance to test out the Switch Shot, Arctic Shock, Shot Wave and Flash Blast blasters from this season's releases. Special thanks to our contacts with NERF for the support on this war! Much was learned. Then we come to the Flash Blast. Love the look of this blaster. It is advertised as a way to sneak in a good shot and that's what it works best as. When my wife arrived to the event, I pulled it from where it was tucked in the back of my pants and shot her in the lens of her glasses. Shenanigans were immediately declared! I kept it nearby as a backup for a lot of the war. I figure My Last Dart could appreciate the strategy! Check out the POV video with the Flash Blast above. 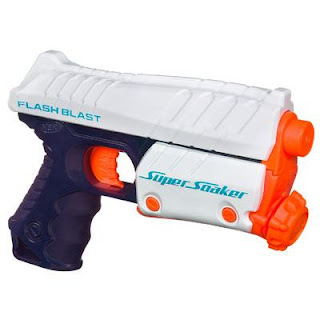 The sneak attack part can be fun, but I think you may get more out of the 2.6 fluid ounces in the Electrostorm (see video at the top) than you do out of the 3.7 ounces in the Flash Blast. Urban Taggers also has a pretty good rant about this blaster.